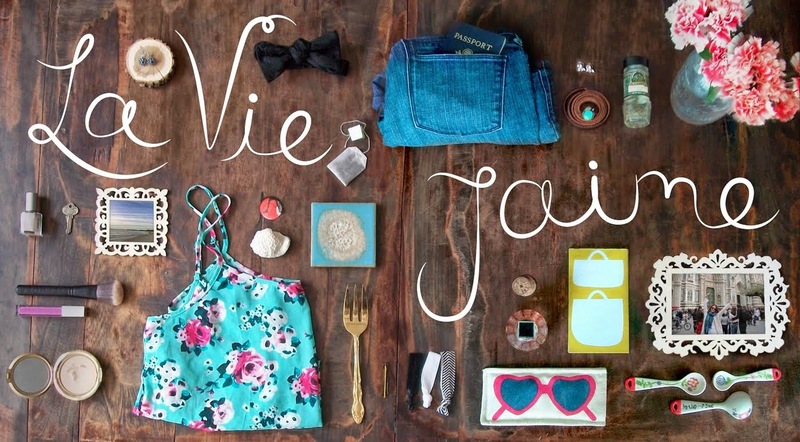 La vie Jaime : What I'm Wearing Wed through the mirror & guest post! What I'm Wearing Wed through the mirror & guest post! Victoria's Secret pants- a "hand me down"
Juicy Couture butterfly bracelet- love this! Bought when I worked there 2 seasons ago. Similar style here and here. What a fun blogging wishlist and guest post! 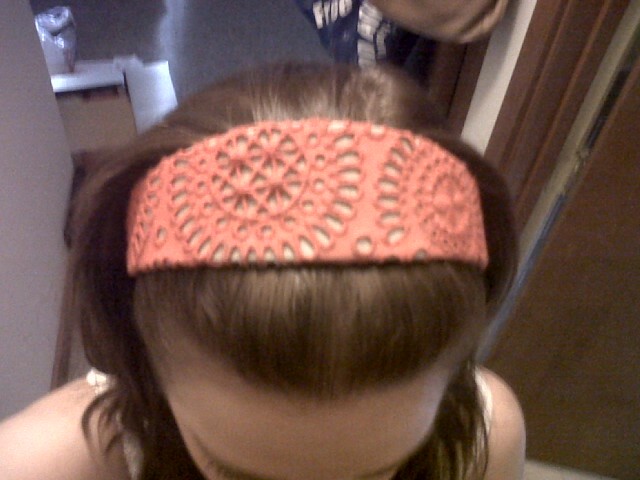 Love your headband! I'd love a ghost chair too! My wishlist just arrived in the garden a white Philip Starck Bubble sofa!!! I'm wearing black pants, black shirt and a turquoise scarf because it is freezing in here! 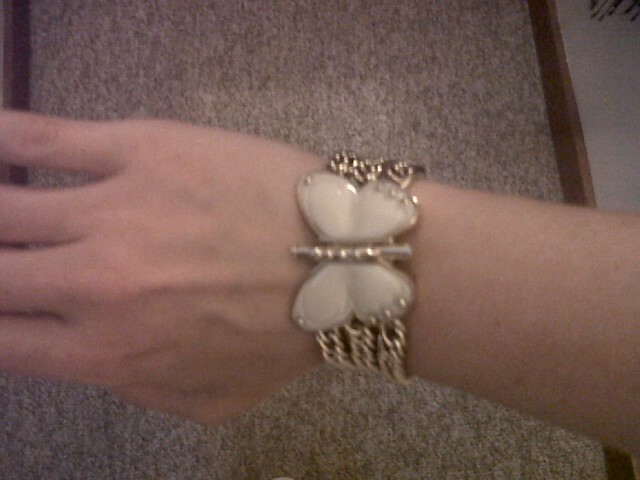 love that butterfly bracelet. i totally want it! I need to incorporate headbands into my fashion diet. Very cute! You looks awesome! 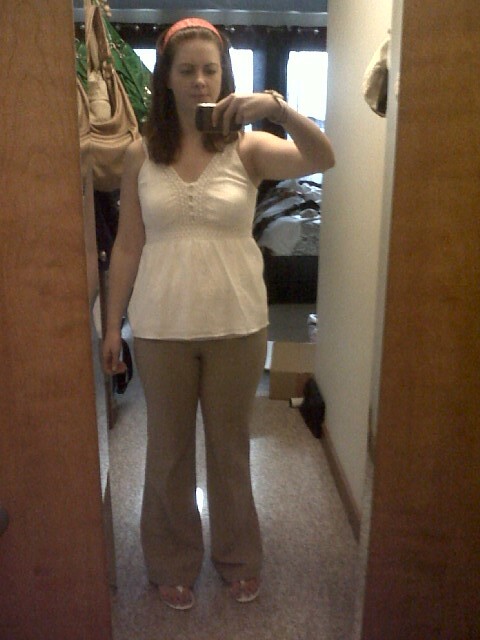 love the neutral colors and the bracelet. I checked out you wish list, love that too! That headband is really cute! such a cute top dear! Too cute! That headband is adorable! Great wish list! XO! Such an adorable bracelet. I am new to your blog and enjoying it! The ghost chair on your wish list is also on mine. BTW, I have a giveaway over at my blog http://aspoonfulofdish.blogspot.com, come on over and check it out. 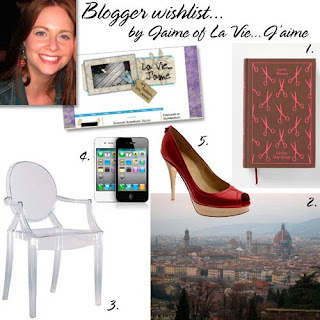 Love the wish list - I am so with you on the iPhone. I want one bad but won't go with AT&T. Like your blog - I'm from Boston too! Cute! I love that top!!! i heart your butterfly bracelet it's adorable! Butterflies make me happy :) Hope you're having a good week! That headband is gorgeous. I love the color! Your wishlist is awesome. I love #5!!! those shoes on your wishlist are gorgeous! Love your lusty red platforms! and your butterfly bracelet.